Thank you. Nil Points is testament to how you listened and put into practice what we were saying. The pleasure has been all ours. Thank you for your kind words. It's been a pleasure. 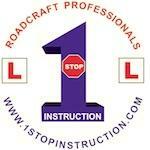 You listened, put into practice what we said, and reaped the rewards of an excellent pass. Well done you! Now, go out and enjoy your riding. Thank you. We are really pleased that you enjoyed your time with us and that you passed the two Modules first time. Like many other things in life, you get out of it what you put in and you certainly put in the effort, turning up on your bike, having your lesson, then riding off back home on your bike - all in the depths of winter! Well done you. Enjoy your riding and call in for a brew whenever you're passing. Thank you Lyon. It is always good to know that we're doing things right and that our efforts are appreciated. You're right about the Hornby but, in my day, it was a Tri-ang (LOL). We are very fortunate to have such lovey scenery in and around Rossendale, glad you enjoyed it. Stay safe out there and call in when you're passing. Kettle is always on. Text first as we're usually out and about. The hairs on the back of my neck stood up reading your review. We are humbled by your review. It is taking people like you, complete novices through to becoming safe riders that makes our job worthwhile. Thank you for your feedback and recommendation. It's good to know that what we are about is appreciated. Enjoy your riding and call in anytime for a catch up and a brew. Thank you. It was a really good week (including the weather -LOL). Safety is what we are about and we love the fact that our students join us in this goal. You did amazingly well in your week with us which speaks volumes for you and your ability to assimilate knowledge. In many ways, you were the perfect student - eager to take on board everything that was thrown at you. And, to get "Nil Points" is even more impressive after just a week. Well done that man. Thank you. You are in a unique Class of Students who got NO faults for your A2 test and, again, NO faults for your full A licence. Well done you. You make reference to the flexibility of our training. Why should we make it any different? What suits you, generally suits us too. It's easy to be friendly with friendly people... thank you for taking part in our daily lives over the length of your Course. You know that you're welcome any time. It was OUR pleasure Pal. YOU put in all the effort and any trauma along the way... you dealt with it without moaning, you just got on with it. Now go out and enjoy your riding! Thank you. You are testament to the value of the taster sessions prior to the full CBT which can be a very daunting experience for a complete novice. YOU put the effort in and have reaped the rewards. You did really well; it's good that you appreciated and got on board with our style of training. Enjoy your riding... today Rossendale, tomorrow the World.